A road worker survived a horrible accident after he was knocked over by a green vehicle in Cape Town. Accidents happen at the blink of an eye. 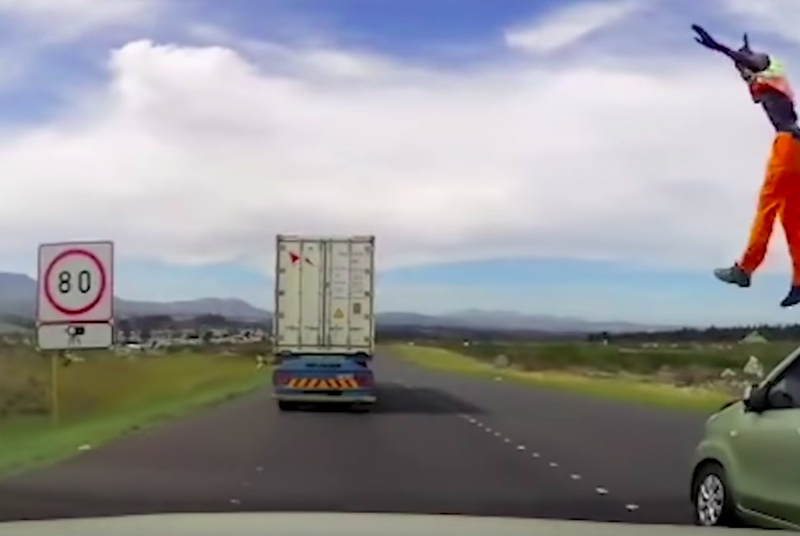 Two roadside workers were in the middle of the road on the N2 near Grabouw in the Western Cape where a horrible incident happened, Netwerk24.com reported. The victim that was involved was identified as Xolele Phindela. The green Avanza drove towards oncoming traffic and knocked Phindela, sent flying him into the air. The incident was captured by a dashboard camera.